Google is making it easier for users to discover content on its social network, thanks to the launch of a new feature dubbed Google+ Collections. 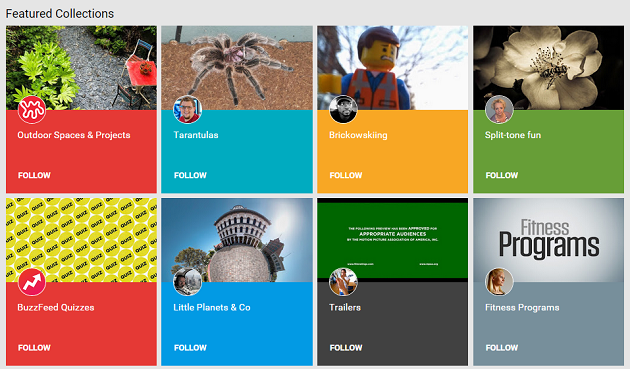 Collections provide Google+ users with a new way to group posts by topic. Every Collection is focused on a specific topic and provides users with an easy way to organize all of their interests. Once a user creates his or her first Collection, it is displayed on a new tab on their profile page where other people can find and follow it. Plus, Collections can be shared publicly, privately or with a custom selection of people. It is also important to note that posts from Collections that a user follows will appear in that user’s Home Stream. These posts will also include a link that directs users to the Collection so they can find similar content from the same author. According to Google, Collections provide users with a great way to find more of the stuff they love from the people they follow. “Our happiest Google+ users are those who connect with others around shared interests and passions. So we set out to give people a place to express the things they love,” Google stated in its official announcement. It will be interesting to see how Google’s new Collections feature pans out, as there is always speculation surrounding what Google will do with Google+ in the future. This new feature not only adds a new content curation element to the social network, but also a bit of a Pinterest element because users are grouping content together similarly to how they create Pinterest pinboards. The new Collections feature is currently available on Android and the Web, and will be arriving on iOS devices later.